The oriental plover (Charadrius veredus) belongs to the family of plovers and lapwings, the Charadriidae. The oriental plover is distributed in Russia, Mongolia, China, Indo-china, Indonesia and Australia. The plover species is fully migratory. This plover is a monotypic species. The oriental plover (Charadrius veredus) is a medium-sized plover, measuring 20 to 25 cm in length and weighing 90 to 100 grams. The wingspan 45 to 55 cm. The male breeding oriental plover has whitish or pale creamy head and neck. There is a dark brown patch at the rear of the crown. The upperparts are brown. There is a whitish supercilium. The breast is chestnut and there is broad black band at its lower edge. The rest of the underparts are white. The non-breeders and juveniles have brown head, crown, nape and the upperparts. The bill is black. The irises are brownish. The legs and feet are yellow, orange or green. The plover's call is a sharp drawn whistling "chip-chip-chip" sound. The oriental plover species is distributed Russia, Mongolia, China, Hong Kong (China), Vietnam, Indonesia, Papua New Guinea, Solomon Islands, Timor-Leste, Australia and Christmas Island (Australia). Vagrant populations of these species occur in Japan, Thailand, India, Malaysia, Brunei, Philippines, Fiji, New Zealand and Greenland (Denmark). 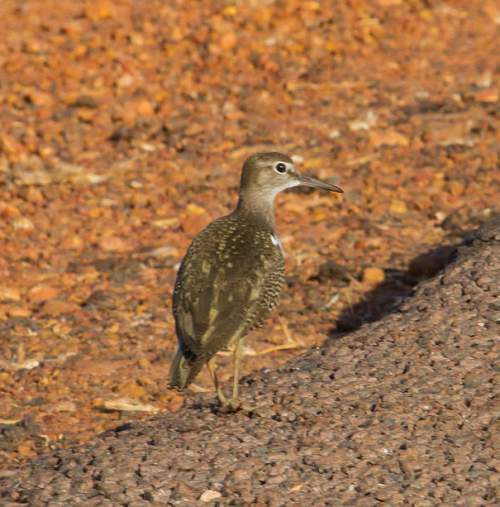 The Important Bird and Biodiversity Areas (IBA) of these plover species in Australia are, Roebuck Bay, Eighty Mile Beach, Mandora Marsh, Lake Argyle, Lake Sylvester System and Lake Gregory. 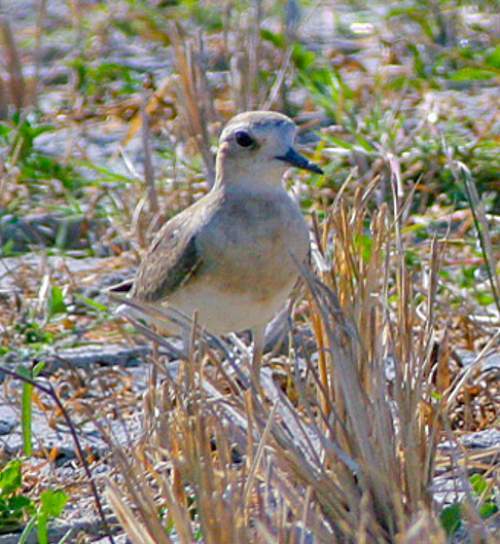 The oriental plover species do not normally occur in forests. They normally occur in altitudes between 0 to 1000 meters. The artificial ecosystems and habitats of these species include pasturelands. The natural ecosystems and habitats of these species include tropical and subtropical dry grasslands, deserts, semi-deserts, inland wetlands, freshwater lakes, rivers, rocky areas and intertidal mudflats. The diet of these species consists mainly of invertebrates. Insects larvae, termites, beetles, grasshoppers, crickets, locust, snails and seeds are their primary food. Like many plovers, they feed with a running, stopping and pecking action. They glean the vegetation and probe the ground for the prey. They may form small foraging flocks. The breeding season of these plover species is from April to July. They are monogamous and form highly dispersed solitary breeding pairs. The females take care of the brood. The breeding habitats include arid elevated areas, grasslands with short grass, mountain ridges and extensive open upland flat grounds with sparse vegetation such as moss, lichen or short grass. These oriental plover species are fully migratory birds. The breeding populations occur in western, northern and eastern Mongolia and the adjoining Russia and China. They leave the breeding ground by the end of July and migrate to northern Australia for wintering. Passage birds have been observed in eastern China, Indo-China and Indonesia. The return migration takes place between February and March. 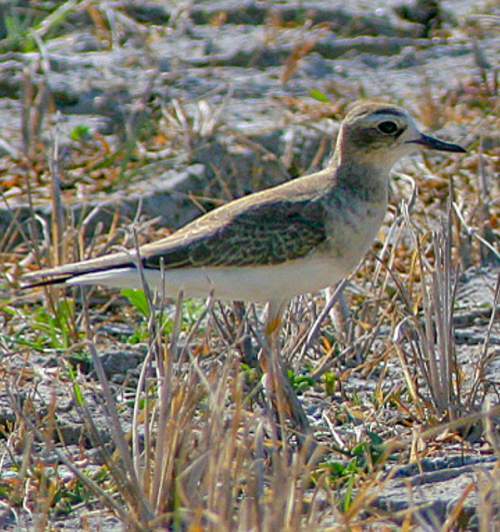 The global population size of the oriental plover (Charadrius veredus) is estimated to be about 160,000 individual birds. The overall population trend of the species is unknown. In most of its range, this species is reported to be locally uncommon to rare. The generation length is 5.2 years. Its distribution size is about 1,800,000 sq.km. Habitat alteration, human disturbance, pollution and climate change are the main threats that are endangering the survival of this species. The oriental plover (Charadrius veredus) does not approach the thresholds for being Vulnerable, either under the range size criterion, or under the population trend criterion or under the population size criterion. The CITES (Convention on International Trade in Endangered Species of Wild Fauna and Flora) status is ‘Not Evaluated’ for the oriental plover (Charadrius veredus). The oriental plover (Charadrius veredus) is closely related to the Charadrius asiaticus and Charadrius montanus. 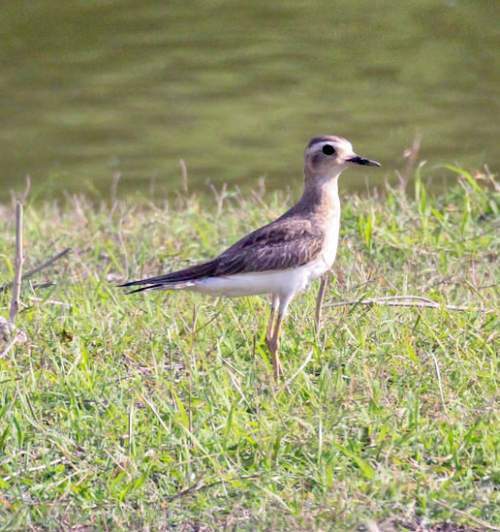 Recently updated and current topic in Bird World: Oriental plover - Charadrius veredus.